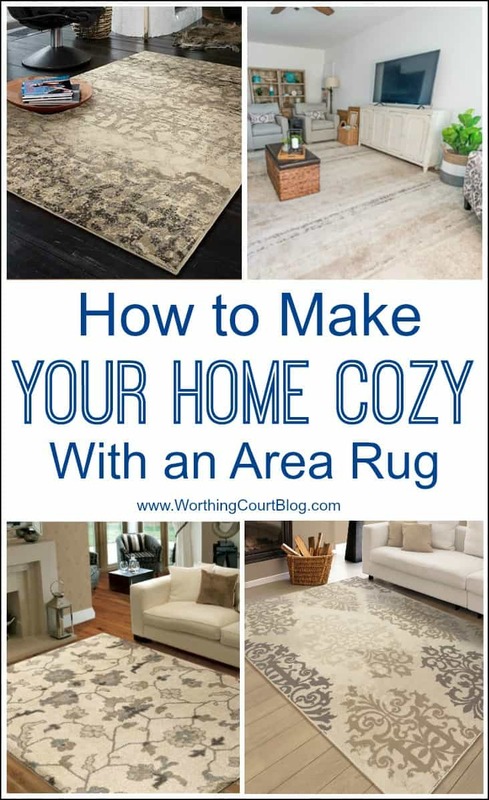 How To Make Your Home Cozy Using An Area Rug + An Exclusive Discount Code! If you’re like me, you want to do everything you can to keep your home feeling and looking warm and cozy during the long winter months. 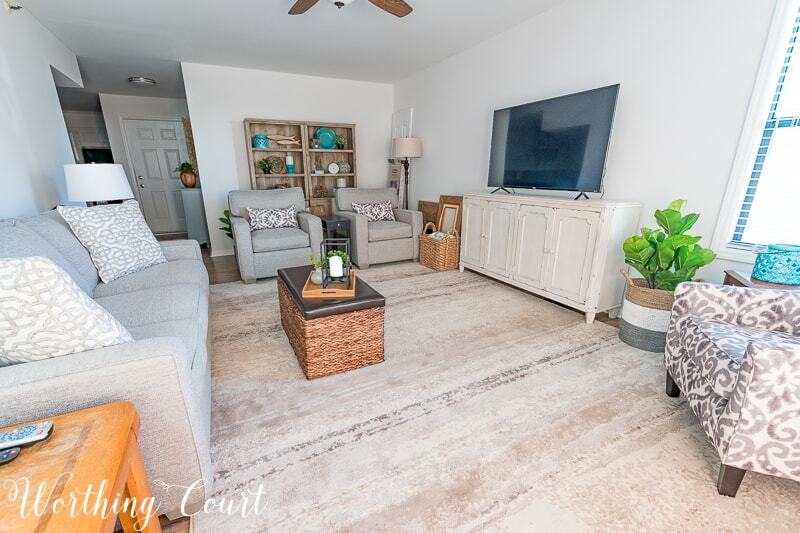 We like to surround ourselves with cozy, comfy throws and maybe even some furry or cableknit sweater pillows, but have you ever thought of an area rug as a way to cozy up your home? You may not be able to wrap yourself up in a rug, but with the right rug you can add instant coziness to your rooms! This conversation is sponsored by Orian Rugs. All verbiage and opinions are 100% my own. I only recommend products and companies that I love and trust. BE SURE TO SCROLL TO THE BOTTOM FOR THE DISCOUNT CODE TO USE ON ANY RUG OF YOUR CHOICE. THE DISCOUNT CODE IS IN ADDITION TO THE GREAT SALE PRICES! Let me share a few examples with you. By the way, you can click on the name of each rug, directly above the image to order and to learn more about the rug. The combination of pattern, color and texture make this a perfect choice for any room in your home. This rug is super soft so it will literally give you a that cozy feel. With the gray, taupe and beige designs on an ivory background, you’ll be able to use it with any color. Another insanely soft rug that will give you instant cozy. The colors of gray, beige, ivory, brown, charcoal and black are nice and neutral and won’t fight with other colors. 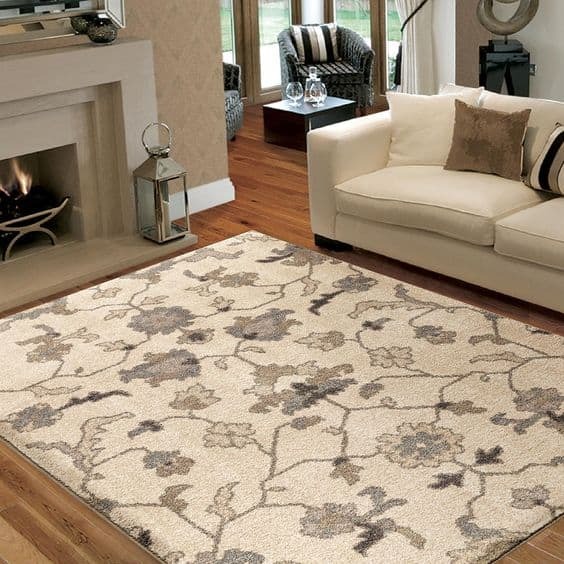 This area rug is a beautiful blend of colors with classic style and luxuriously plush pile. Colors are ivory, gray, silver, slate and beige. It will mix easily with any style decor. 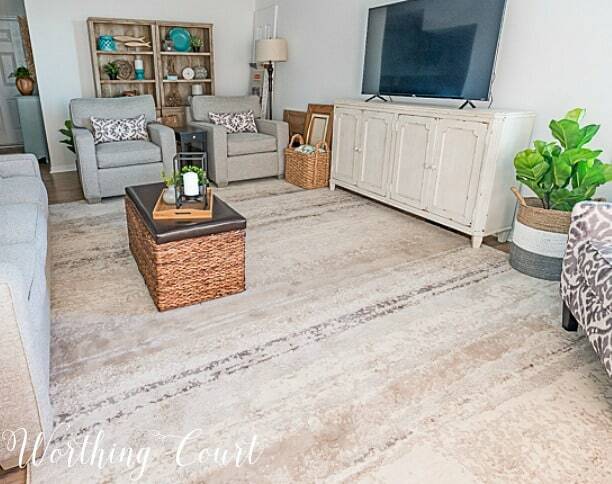 You may recognize this gorgeous rug as the rug the we used in the work-in-progress family room of our beach condo. I can personally attest to its beauty, quality and comfort. I would love to have it in every room of my house! You can even watch the video that I made about it by clicking HERE. 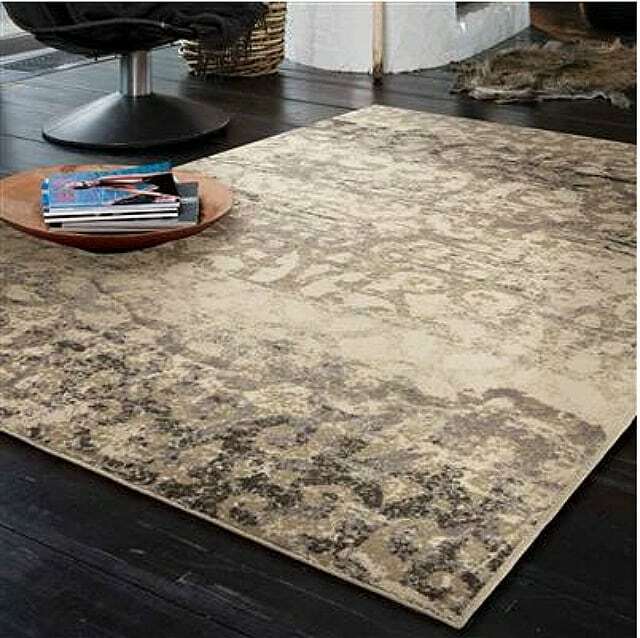 My list could go on and on, but these are just a few of the many beautiful, cozy and oh-so-affordable area rugs that you’ll find available at Orian Rugs. Click HERE to shop all of their rugs. Enter WORTHINGCOURT at checkout for 15% off of your entire order! But hurry, this discount code ends on Tuesday, December 19th at 11:59pm EST. I purchased the Breckinridge Seashell from Orian Rugs several weeks ago when you showed it in your condo redo. I LOVE IT!! It is beautiful, plush and soft as butter! And such a great deal! Delivery was quick and easy! I will definitely use Orian Rugs again! Thanks for introducing me to this great company! I live the rug you chose the subtle pattern works beautifully in this space. Love that lambswool rug…thanks for letting us know about this company! Yes, I love the idea of a rug to cozy up my home. we have tile throughout our house, therefore, an area rug really helps. We have a lab/bull terrier and he sheds quite a bit so I’m glad I don’t have carpet. I was lucky enough a couple of years ago to win an 8×10 rug from one of the blogs I follow so my area in my family rug was free!! I would definitely choose the seashell rug above. Love the colors. Thanks for sharing! Wow! This made the room so warm and cozy! I love it! My husband and I were just talking about using them in the farmhouse once it gets built since we aren’t having any carpet in the house. Your home is gorgeous! I love these rugs! It really makes the room feel warm and adds the perfect finishing touch. I love the Tantum! Thank you for always sharing so many beautiful things with us. Happy New Year! These beautiful rugs can sure change a person’s mind about bare wood floors. And wool rugs last. I want to check these out!